In Finland, validation which leads to formal recognition and certification is embedded in the formal education and training systems. Validation systems in Finland are typically developed from a national perspective and are well steered by legislation and policies. However, the model used for developing the system is democratic and co-operative aiming to involve central stakeholders in the development process. 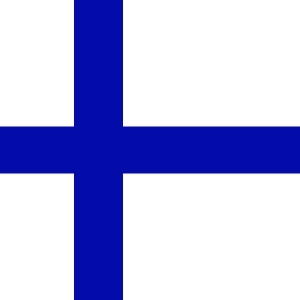 The strong co-operation between all stakeholders is the strengths of the Finnish validation arrangements. The core message of the legislation is that validation of non-formal and informal learning is a subjective right of the individual and the competences of an individual should be validated regardless of when and where they have been acquired. The validation arrangements in formal education include the four phases of validation of non-formal and informal learning (identification, documentation, assessment and certification), but the processes and methodologies differ between educational sectors. The education provider decides how guidance is organised, but guidance must be provided based on the needs of the learner. Validation arrangements in the higher education sector are relatively young in comparison with the VET-sector. However, most of the curricula are described in terms of learning outcomes, the validation methodologies are continuously developing and validation is increasing in popularity as it is relatively well known among the students. New initiatives and projects promoting and developing validation arrangements are carried out in different areas of higher education. In universities, there is no upper limit for the number of credits that can be gained through validation. However, the final thesis cannot be replaced by validation. Validation in the third sector is not defined by legislation, but its role is related more to identification and documentation of competences. The third sector also has a crucial role in terms of co-operation with the validation organisers (e.g. as work life assessors). It should be noted that only formal education providers and qualification committees (mainly VET and HE) can give a formal certificate/diploma or award a qualification through validation in the Finnish system. The third sector organisations provide their own certificates, which are not part of the formal education system. However, the acquired competencies may be the same as in the national qualification requirements. The employment service provides individual support and counselling for job seekers. The objective of vocational guidance and career planning services of employment offices is to assess the capacities, objectives and alternatives related to education, training and employment and help jobseekers to make a career plan that best matches the situation of each individual. In Finland validation procedures are practically free for the individual and the validation providers get funding in most cases from the state. Validation procedures are embedded as an integral part of formal training systems, and therefore there is no earmarked funding for validation. However, there are some funds available for the individual. The funding system for validation purposes is sustainable as it is linked with formal education and traditionally in Finland education is free.